Happy Sunflower! !, originally uploaded by Melissa_A. The 2nd edition of “The Age of Conversation“ is in the works. Editors Drew McLellan and Gavin Heaton are once again spearheading this path-breaking project. The benefits are aplenty. More conversations. New perspectives. An innate understanding of conversational marketing and social media. Publishing opportunities. More value for readers. Community building. Networking. Supporting charity. This year, AOC is bigger and better, in terms of authors and content. 275 bloggers from around the world, mostly with media and marketing backgrounds, are writing a 1-page chapter on the theme “Why Don’t People Get It?“. My chapter “The Smart Beast in the Creative Jungle” focuses on the new brand of creative required in the age of conversation. 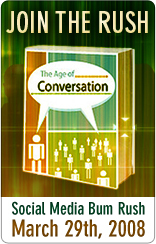 “The Age of Conversation: Why People Don’t Get It?” will be on sale on Lulu.com from 21 August. All proceeds sales go to Variety, the children’s charity. Meanwhile, fellow authors are promoting the book in various ways. Blogger-pal Ryan Barrett is offering a sneak preview of 1-line snippets from various chapters here. Join us in the Age of Conversation 2.0. Today “The Age of Conversation” is on a bum rush blitzkrieg to get on top of the Amazon Best Sellers list. “The Age of Conversation” is a ground-breaking and unusual marketing book that brings together over 100 of the world’s leading marketers, writers, thinkers and creative innovators. Spearheaded by Chris Peel, Drew McLellan and Gavin Heaton, the Bum Rush offers a unique way to introduce this must-read tome to many new readers and raise proceeds for Variety, the Children’s Charity. Click here to read more about the book & learn more about the 103 co-authors. Meanwhile, a sequel to “The Age of Conversation” is in the works. 275 amazing thought leaders from around the world have signed up for this exciting venture! As a contributor from the first edition, I’m all excited to be a part of this happening community. 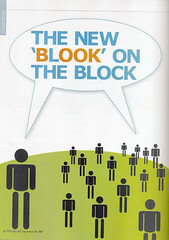 Watch out for more news on “The Age of Conversation 2.0”. 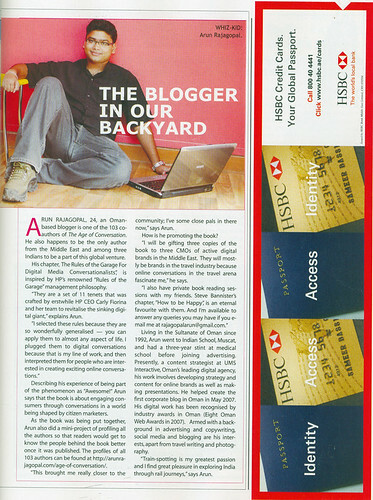 o	What are the advantages of blogging? 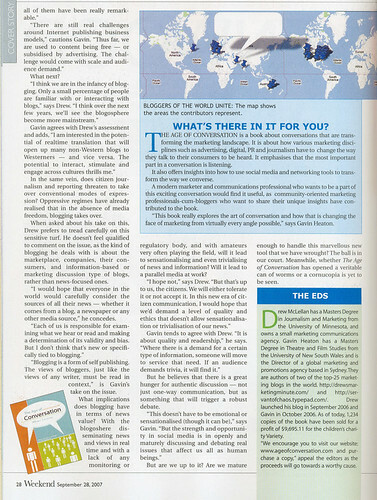 ‘Mind Blogging’ will expose readers in Middle East not only to ‘The Age of Conversation’ but also to the world of social media and conversational marketing. Click here to read the feature online. The feature looks snazzy in hard-copy. 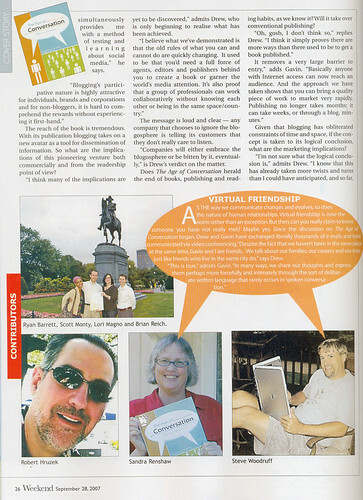 AOC blokes Drew McLellan, Gavin Heaton, Cam Beck, CB Whittemore, CK, Greg Verdino, David Berkowitz, Matt Dickman, Steve Roesler, Ryan Barrett, Scott Monty, Lori Magno, Brian Reich, Rob Hruzek, Sandra Renshaw and Steve Woodruff look great in print! 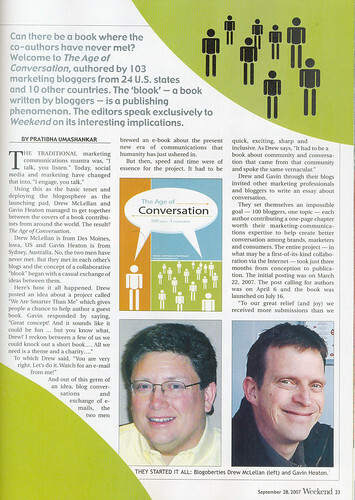 When 103 marketing bloggers from around the world teamed up few months ago to co-author ‘The Age of Conversation’, I’m sure nobody would have imagined the magnitude of its implications. We knew it was exciting but we never anticipated the ‘hugeness’ of its ripple effect. 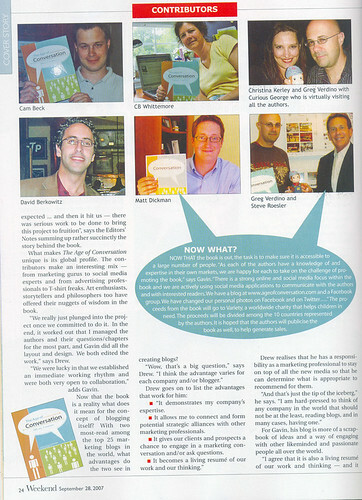 Not only did we create a book that is one of the most authoritative tomes of conversational marketing ever written, but we built a unique community of people from diverse backgrounds supporting common causes. We made new friends; discovered more ways of connecting with each other; explored what the ‘age of conversation’ meant to each of us, made social media and the book popular in our respective countries; generated tons of press coverage and watched the book transform our lives. Our initial commitment was to raise US$ 10,000 through book sales for Variety, the children’s charity. 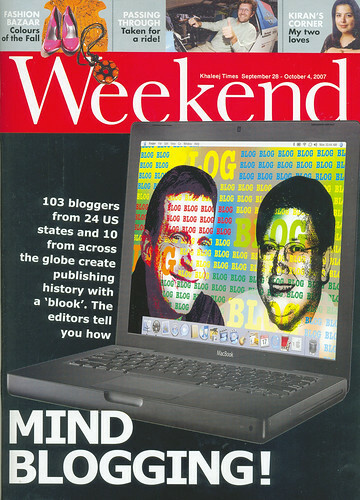 We accomplished that milestone on 9 September 2007.